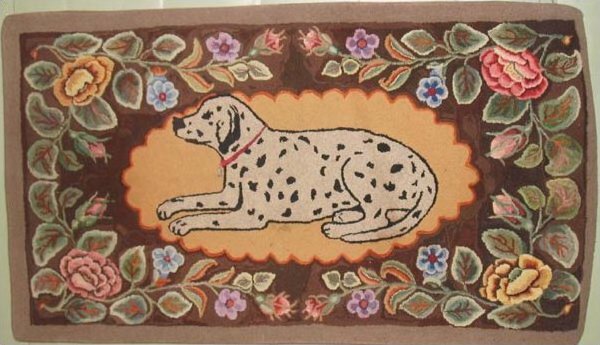 Spotted dog in a folky garland of flowers, the epitome of charm in a late 19th century hooked rug. From the pattern inventory of the Edward Sands Frost Co, New England rug design entrepreneurs more familiar for his lion designs than this uncommon pictorial. Professionally stretcher mounted. Vivid colors still.